If you’re a photographer, the photo-sharing site Flickr offers a great way to get your work seen and to elicit feedback. But it's unlikely that others will find your stuff without a little help from you. 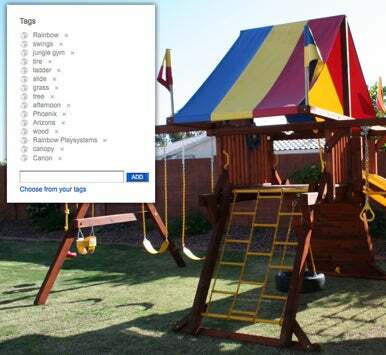 Apply tags liberally To make your photo easy to a stumble upon, tag it with plenty of appropriate keywords. For example, if you’re posting an image of a boy and girl riding bikes, tag the image with not only with the obvious (boy, girl, bike), but also the colors of the clothes they’re wearing, where you took the photo, and descriptor words of the scenery around them. If you want to be found on Flickr, get comfortable with applying tags. Go where the action is Submitting your photos to appropriate Flickr Groups or Pools will also gain exposure for your images. For instance, if you frequently shoot close-ups of flowers, you can submit your images to any number of flower macro-photography groups—making it easy for anyone interested in viewing close-ups of flowers to find your photos. Be open You might also consider taking advantage of Flickr’s CreativeCommons licensing options, a way to offer designers free use of images in their projects. All forms of the Commons licensing require others to attribute you with a link if they use your photo, but you can also select a license that limits how and where the image may be used. It’s a great way to get noticed by the type of people who may end up hiring you in the future, as well as maintain some control over how your images are used.